It’s the beginning of a new school year and my students are asking me the same questions I always hear. 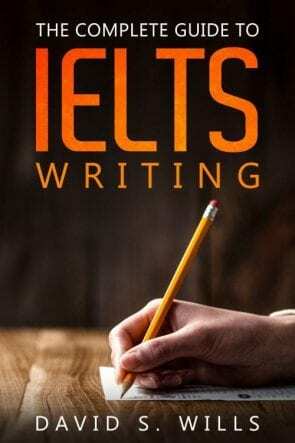 Chief among them is “What’s the best app for learning IELTS?” In the past I have made some suggestions based upon apps that I use in my daily life, but I have never really found a good IELTS learning app. It seems that all the apps for IELTS students tend to be kind of … spammy. In other words, they seem cheaply made and untrustworthy. First up is the Official Cambridge Guide to IELTS app, available on the App Store for free. This app includes guides to IELTS in various languages, as well as some videos of the speaking exam taken under real exam conditions. You can download videos and audio files, and there are a few in-app purchases available that give you access to some additional help. Next, British Council also has a useful app called Word Power. It’s on Android and Apple. This app gives you a bit of information about IELTS but mostly it is useful because of its vocabulary quizzes. As every student knows, you need a good vocabulary to achieve IELTS success. British Council also has another great IELTS preparation app, simply called IELTS Prep App. This gives you practice tests, videos, information, tips, and guides to the criteria by which candidates are marked. I would definitely call this an essential app for IELTS students! Among all the many language-learning apps you’ll find on the App Store or Google Play, I’ve always thought Memrise was the best. They offer a really interesting way of learning language, that gets those words and ideas stuck in your head. I have used it myself for learning Chinese, and found it very useful. It works by teaching you words based upon a simple scientific concept – that you need to repeat words at spaced intervals over time in order to fully remember them. When it comes to IELTS vocabulary, this really is hard to beat. Duolingo is also a fantastic app for learning English (and other languages). These days it regularly tops the App Store charts as people all around the globe pick up new languages. It aims to make language learning fun and addictive by making it into a sort of game, which beats the boring memorization aspect of learning vocabulary. I always tell my students to download BBC News. To be honest, I think that reading the news daily from an impartial source is really important for all human beings… but doing it in English will definitely help raise your English level! Mostly, it is good for constant reading practice. The app will download new stories each day and you can read them while riding the bus or waiting in a queue. The language used is pretty simple and the paragraphs are very short, so it works well even when your reading level is quite low. There are some audio and video files to listen to as well, ensuring that your listening skills also benefit. Don’t forget to download a dictionary, too. When you come upon a difficult word, you should get into the habit of looking it up and seeing how it is used. I prefer the Oxford English Dictionary, although of course there are various others. Go for something reputable, and make sure it has good example uses. Learning a word’s meaning is not enough – you have to see it used in real sentences to fully appreciate it. Wikipedia is one of the greatest triumphs of humankind! It is a totally free encyclopedia that contains information about almost everything, and it is available in many different languages. For IELTS students, try reading about new topics in English – and if that gets too hard, change to “simple English” for a while. I use Wikipedia every day. Say you are talking with a friend and they mention a company you don’t know… Go read the company’s Wikipedia page! It’s great reading practice. Finally, your phone probably has a podcasts app on it. I use an iPhone and the native Podcast app is pretty good. Every day, when walking to work, I listen to about 20 minutes of podcasts. My favourites are Freakonomics, Stuff You Should Know, WTF, and How I Built This. You can learn so much from podcasts, and many of them are also really funny. I highly recommend you get into the habit of listening to English podcasts at least once a week. This will slowly build up your English listening skills, and you can even practice repeating what people say to help with pronunciation. I hope this list has been helpful for you, and maybe it guided you to a few new apps you didn’t know. Please put your own suggestions in the comments section below. I’m sure there are hundreds of great apps for IELTS learners out there that I haven’t mentioned. Share your own ideas with the community and help everyone! I post some lesson content at http://www.ielts-teaching.com.